Need Power With Your Fiber? Power Budget or Loss Budget? The New APOLAN group is having a webinar on Passive Optical LANs on Wednesday December 11th at 11:00 a.m. EST / 3:00 p.m. GMT. This should be particularly interesting as speakers from IBM and SAIC/Leidos should be able to give a unique perspective on the technology and its advantages. Dave will introduce the Association for Passive Optical LAN and discuss its’ mission and future. John will explain what passive Optical LAN is, where it can be utilized, and how it benefits government, military, commercial enterprise, healthcare, education and hospitality entities. Blaine will demonstrate how passive Optical LAN projects provide monetary, energy and space savings, while future proofing the LAN relative to security, stability, scalability and bandwidth demands. 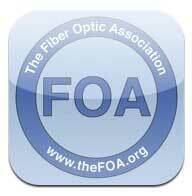 FOA Personnel will be attending the FTTH Council Regional Conference December 16-17, 2013 in Austin, Texas focusing on "Following The Gigabit Highway." 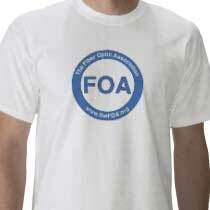 If you are also attending and want to meet FOA, contact us at info@thefoa.org. 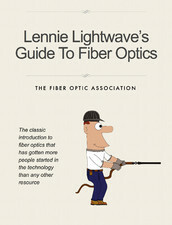 Where Are The Jobs In Fiber Optics And How Do You Get Them? 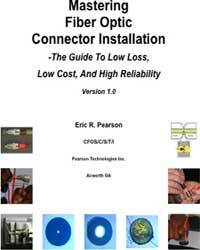 Why Every Fiber Optic Installer Needs Training AND Their Customers Do Too! Suppose you have a large data center design that requires almost 2000 multimode cables. A contractor bids the job based on installing the cables and using anaerobic adhesive/polish connectors. He installs all the cables, terminates them, gets paid and disappears. When the customer connects his equipment, links show high bit-error rates or don't work at all. Finally he buys his own tools and starts inspecting the connectors. These connectors ranged from 1-3dB loss. Every one - all 4000 - had to be replaced. 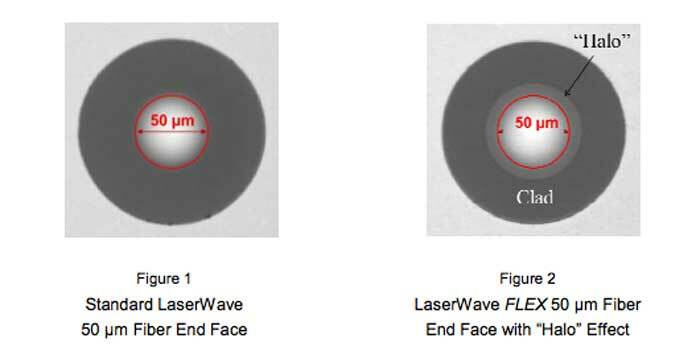 A properly trained - and FOA-certified - fiber optic tech is expected to be able to field terminate MM fiber and get consistent 0.1-0.3dB loss connectors. That tech would have inspected every connector with a microscope and rejected connectors with scratches, cracks, unpolished ferrules and contamination - like these. 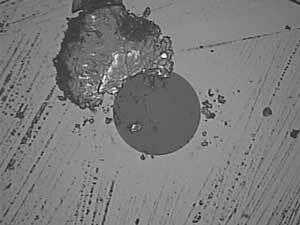 However, a knowledgeable customer would have written a SOW or bid package that specified that connectors must be inspected with a microscope and tested for insertion loss to have connector losses according to industry specifications. The contractor would have been required to furnish complete documentation showing cable types, manufacturers, hardware, routings, and end-to-end insertion loss. 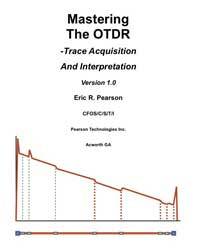 In some cases, OTDR traces would also have been required. This customer now knows all that. He learned the hard way. 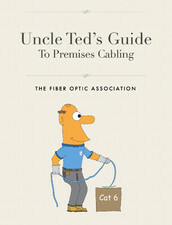 And for you customers and network users, FOA has a Guide for you too. Online or PDF. AT&T will begin lighting up Austin with AT&T U-verse with GigaPower, an all-fiber, lightning-fast Internet network featuring the fastest consumer broadband speeds in town and a better HD TV experience. This initial deployment will reach tens of thousands of customer locations, including parts of central, northwest, northeast, southwest and southeast Austin and some city neighborhoods. AT&T plans to expand availability of U-verse GigaPower to even more residents and small businesses in 2014. The December launch will initially feature upload and download speeds of up to 300 Mbps, which will be the fastest Internet speeds available to consumers from any Austin broadband provider. Customers who sign-up for 300 Mbps service will be able to upgrade to speeds up to 1 Gigabit per second, scheduled for mid-2014, and at no extra cost. AT&T service crews have installed fiber to an additional 54 multi-tenant buildings across Louisiana, making fiber-based broadband services available to more than 2,600 business customer locations. C Spire selected nine Mississippi cities as finalists to be the the first cities in its planned statewide 1-Gbps fiber-to-the-home (FTTH) initiative. Batesville, Clinton, Corinth, Hattiesburg, Horn Lake, McComb, Quitman, Ridgeland, and Starkville are finalists for being the first community to receive the operator’s upcoming high-speed broadband service. LA plans to issue an RFP (request for proposals) that would require fiber to be run to every residence, every business, and every government entity within the city limits of Los Angeles, with the goal of bringing fiber to all of its 3.5 million residents and businesses. This project was spearheaded by recently elected council member Bob Blumenfield and has the support of new Mayor Eric Garcetti. LA expects the fiber buildout to cost $3 billion to $5 billion, but the cost would be borne by the vendor. The new fiber network would offer free Internet access of 2Mbps to 5Mbps (possibly subsidized by advertising) and paid tiers of up to a gigabit. The fiber network would also power Wi-Fi hotspots in public areas. The winning bidder would not be required to offer landline phone service or television, but it's likely that they would to justify the cost of the network. The RFP would favor companies that can offer not only fiber Internet but also cellular service and data center hosting. That makes AT&T and Verizon possible candidates. In one potential scenario, the city would pay the winning vendor for its monthly broadband, phone, cellular, and data center needs. Los Angeles has 24 distributed data centers that it would like to modernize and consolidate while boosting disaster recovery and replication, so the data center component alone would be lucrative. LA residents and business can already get service from AT&T, Time Warner, Verizon, Cox, and Charter depending on where you are in the city. Verizon is already offering FiOS at up to 500Mb/s in some areas. 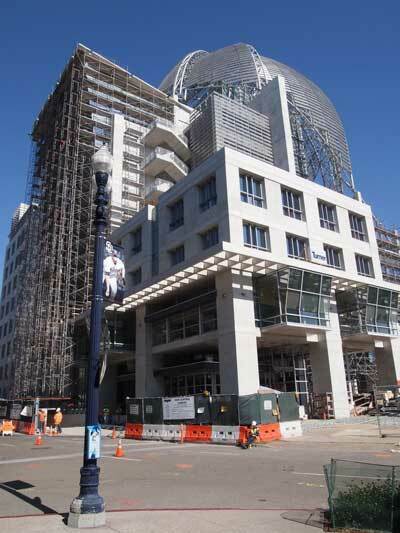 Last November, cabling contractor Vector Resources gave FOA a tour of the new San Diego Central Library where they were installing a major optical LAN with Tellabs electronics and TE Connectivity cabling. We reported on it in the November 2012 FOA Newsletter with pictures of the construction. Need PoE With Fiber For Your OLAN? 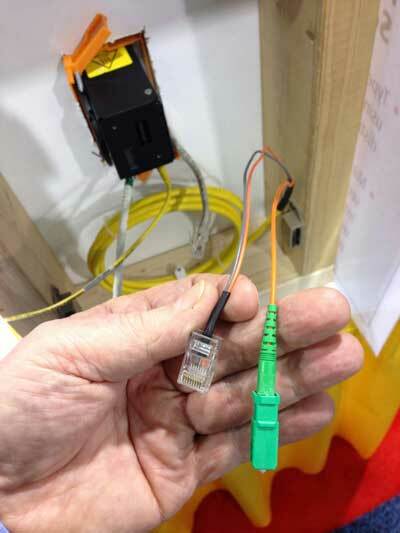 This interesting Corning cable was spotted at a recent trade show. It has two conductors that are terminated in a modular 8 pin connector for powering remote devices and a SM fiber terminated with an APC connector. This looks perfect for some OLAN and FTTH systems. Remember The Photo Of the Fiber Optic Cable Held Up With Duct Tape In Philadelphia? 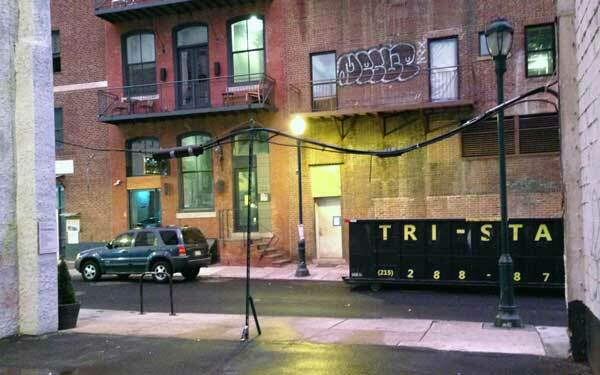 Last year we were in Philadelphia for a TIA Standards meeting and saw an amazing sight, a fiber optic cable hanging across the entrance to a parking lot held up with duct tape and what looked like a speaker stand. 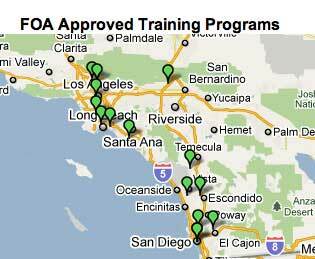 It was in the FOA Newsletter November 2012. TIA had their October meeting this year in the same hotel, so we walked around and guess what - that cable is still there! And it has not been fixed. We are not sure whether to be more impressed with the ruggedness of the fiber optic cable or the fact that it is being ignored by whoever owns it. Do any of our readers know anything about this? Here at FOA we get many technical questions that relate to loss budgets. Most are related to testing - is the loss value being measured what should be expected from the cable plant being tested. But we also get questions from designers wondering if a system will work on a cable plant. Let's examine the difference between a "power budget" and a "loss budget." All datalinks are limited by the power budget of the link. The power budget is the difference between the output power of the transmitter and the input power requirements of the receiver. 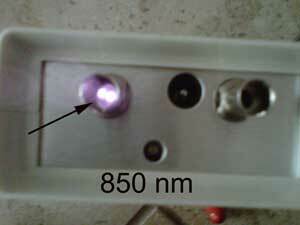 The receiver has an operating range determined by the signal-to-noise ratio (S/N) in the receiver. The S/N ratio is generally quoted for analog links while the bit-error-rate (BER) is used for digital links. BER is practically an inverse function of S/N. Transceivers may also be affected by the distortion of the transmitted signal as it goes down the fiber, a big problem with multimode links at high speeds or very long OSP singlemode links. The cable plant "loss budget" is a function of the losses of the components in the cable plant - fiber, connectors and splices, plus any passive optical components like splitters in PONs. 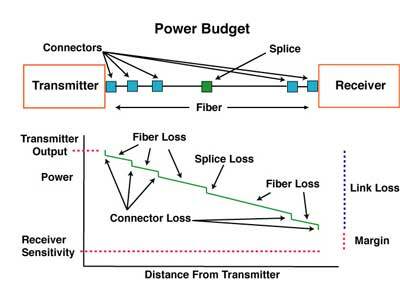 Thus the loss budget of the cable plant is a major factor in the power budget of the fiber optic link and is what one calculates to compare against tested insertion loss (and even compares to OTDR loss measurements) to determine if the cable plant is properly installed. The distortion impairments can be calculated for high speed links or included in the power budget as is done in most standardized systems. 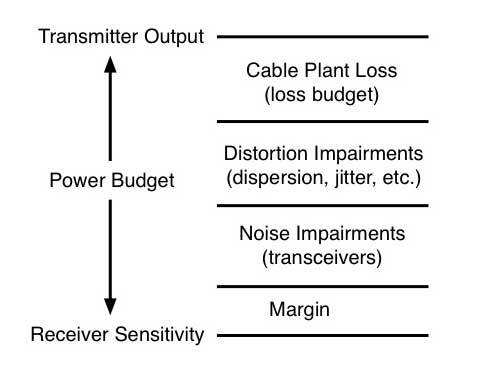 The noise impairments are included in the receiver sensitivity specifications. 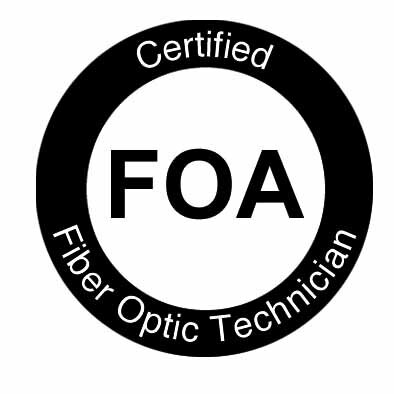 For the last few months, FOA has been working with companies and groups interested in OLANs to create a certification for techs designing and installing them. 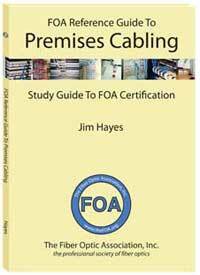 FOA has a long history with the FTTH technology behind OLANs, having been approached by Verizon when they were ready to introduce FiOS and realized that there was a need for trained personnel to design and install FTTH. FOA developed a FTTx curriculum and certification program, then worked with Verizon to give seminars and recruit personnel. 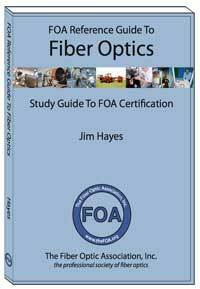 Many FOA schools have adopted the FOA FTTx curriculum and trained workers that have installed FTTH networks around the world. With OLANs, FOA has worked with leaders in the field to create technical materials on our FOA Guide website and YouTube channel already. We now have a curriculum ready for "beta testing" at our FOA-Approved schools which should make OLAN training ready for students in a few months. Not surprisingly, OLANs now have their own association to educate users about the advantages of OLANs. 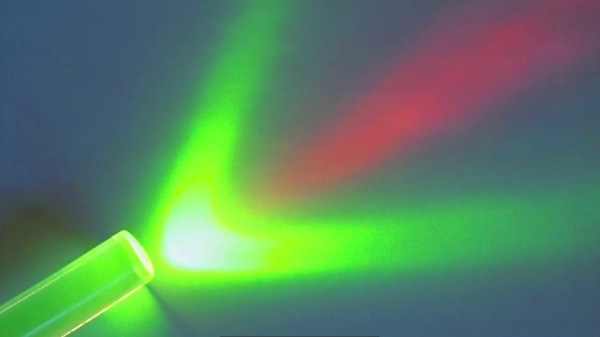 The Association for Passive Optical LAN is a non-profit organization composed of manufacturers, distributors, integrators, and consulting companies who are actively involved in the Passive Optical LAN marketplace. Its members support the growth and education of the Passive Optical LAN industry and are focused on formulating solutions on how best to market, install, educate, and support this burgeoning field. The new organization's website already has some good technical information on OLANs. Lightwave Webinar on OLANs - see below Lightwave also has a number of white papers on OLANs you can download here. Prepolished/Splice Connector Termination (Panduit OptiCam) Another good alternative for field termination. 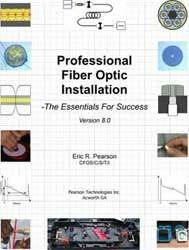 We've added new lectures on Wavelength Division Multiplexing and Fiber Amplifiers joining other new topics like the characterization of optical fibers for CD, PMD and spectral attenuation, important issues for long haul systems and DWDM, POF and OLANs.. 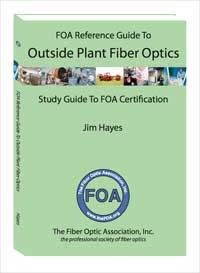 The new FOA lecture on Wavelength Division Multiplexing joins other new topics like the characterization of optical fibers for CD, PMD and spectral attenuation, important issues for long haul systems and DWDM, POF and OLANs..
All live and on demand Lightwave webcasts are now available on any mobile device including iPads, tablets and phones! Here is the announcement and link to sign up. You can sign up and watch it after it has been given. FOA Approved School # 759. 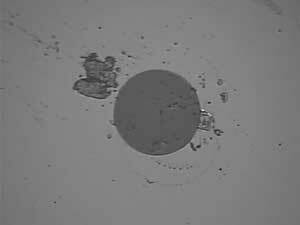 Q: Does your organization have information on the effects of micro cracking in optical fibers over a 20 year life? A; We do not have any particular information on this subject. 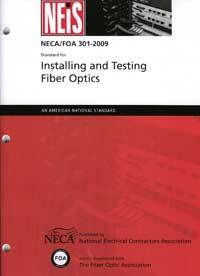 It has been discussed by the fiber manufacturers in literature over the history of fiber. 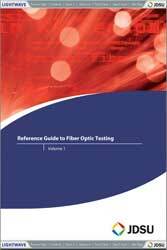 The manufacturing process includes stress testing of the fiber which is intended to cause failure at points that could lead to future failure. 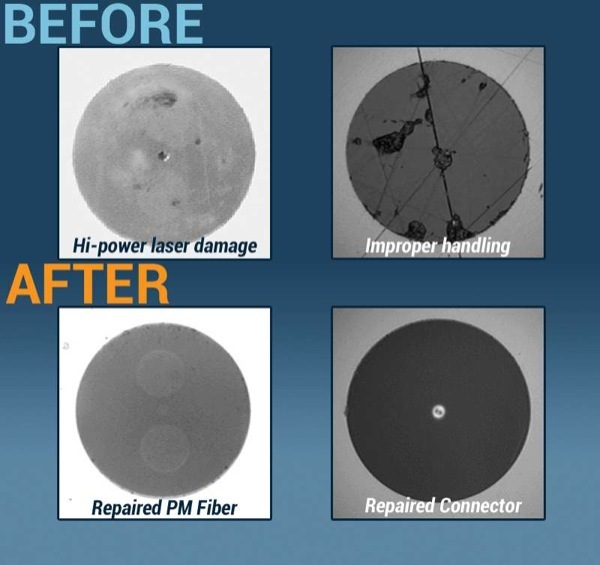 After that, the coatings provide protection and the stress on the fiber can be a factor. We have discussed this topic with fiber manufacturers in terms of the lifetime of deployed fiber cable and they talk about a 40 year design life. Q: Why are the color codes for jacks (8p8c connectors) different from punchdown blocks? 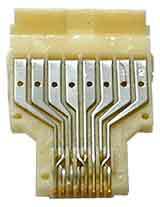 A: Punchdowns preceded the modular connectors by at least 50 years and were set up to punch down pairs in numerical order, with "tip" (striped wire) first then "ring" (solid wire) for each pair. 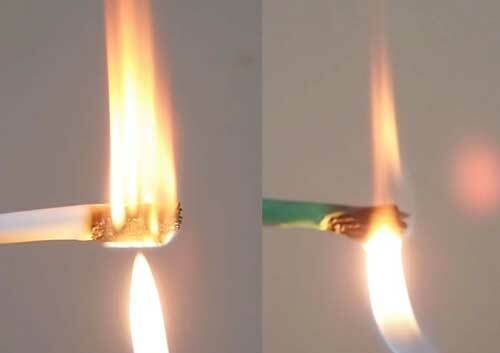 (Tip refers to the wire connected to the tip of the phone plug from an old manual switch used by operators and ring refers to the ring around the phone plug.) Blocks came with options for 25, 50, 100 pairs or more to accommodate the high pair count of POTs cables. 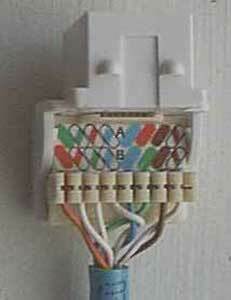 When 4-pair cables came along, each cable was punched down in sequence (blue, orange, green, brown). When jacks came along the first use was also for POTs - plain old telephone service - and the pairs were split symmetrically. 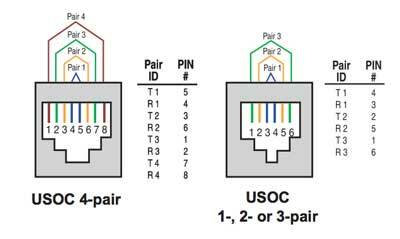 When Ethernet, DECnet and IBM started using this modular 8-pin jack, they all chose slightly different pin usage but all separated conductors in the pairs to prevent crosstalk (http://www.telebox.com/technical/t-pdf/WiringConfig_2007-0205.pdf). TIA choose to standardize on a 4 pair cable for the jack and standardized on two pin configurations (had to satisfy both AT&T and the Ethernet people.) Thus we got TIA 568A/B when it became standardized. As speeds increased, the crosstalk and return loss became more important so the jacks, starting with Cat 5, included internal "twists" to continue the tighter twists in the pairs. Punchdown blocks have pretty much disappeared since Cat 5 because it's hard to keep crosstalk and return loss under control. 110 blocks are better than 66 blocks, but still tough to get high speed performance. Q: We have a prefab cable system with about 100 hi density SM&MM cartridges with a 12 strand MTP connector on the back and 12 LC connectors (p/n: ECM-UM12-04-89G). 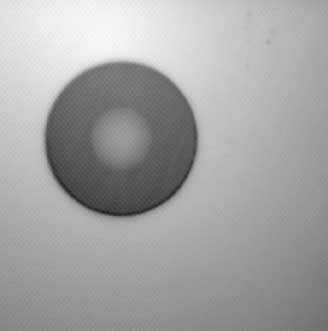 There is roughly 18 inches of fiber wound up in the cartridge so the OTDR consistently fails at this point due to terrible reflectance. It’s almost like the it cannot see the 2 connection points because they are so close together. Is there an OTDR that will resolve this? A: This is not a proper use of OTDRs. There is no field OTDR that can resolve the connectors on these modules. The lab versions that could see them cost ~ten times as much, use different measurement principles and are not portable. These modules should be tested as part of a complete cable plant installation for insertion loss with a light source and power meter like every other installed cable plant. At best, you could consider them one event in the OTDR trace and measure the loss across the two connections. Since reflectance is a complicated calculation, I'm not sure what happens with two reflectances that would be combined, but you could compare one fiber in a module to another. Q: Can you show me an example of Fiber Optic Cabling Layout of an airport. A: Fiber has been used in airports for decades. FAA developed a runway monitoring system many years ago that checks runway lights and other services and does CCTV video surveillance. Inside buildings and between them, fiber provides communications for the operating authority and tenants, connects signs, provides WiFi and cellular wireless systems, etc. For one specific application, Dubai Airport's new Terminal 3, see the FOA Newsletter article "FTTO: Fiber To The Office" and be sure to read Cliff Walker's paper about his design. Q: At slide 18 (13:23) in your YouTube Video on OLANs, you say we don´t need telecom closets. You´re considering that the telecom closet is substituted by the passive patch panel, the switch or both? It seems a stupid question, but depending on where your central office is located, you can have a single strand running from the central office to a switch inside the building´s basement, or having multiple strands, running from the CO through the passive patch panel to a small switch on every other floor. I don´t understand which of this scenarios you´re suggesting to be the most economical. A: In an OLAN, the switches in the main equipment room have connections to the outside world, often today on fiber for a medium/large business, and inside the business, to the companies servers and storage, either on fiber or copper. Those switches connect to users, typically through a backbone cable to local switches near the users and horizontal cabling, usually Cat 5E/6/6A connects users's desktops or wireless APs or other IP devices connected over Ethernet. An OLAN replaces the racks of switches in the main equipment room with a OLT-optical line terminal- that is also rack mounted, about a foot high, that serves up to 8192 users in about a 10km radius. 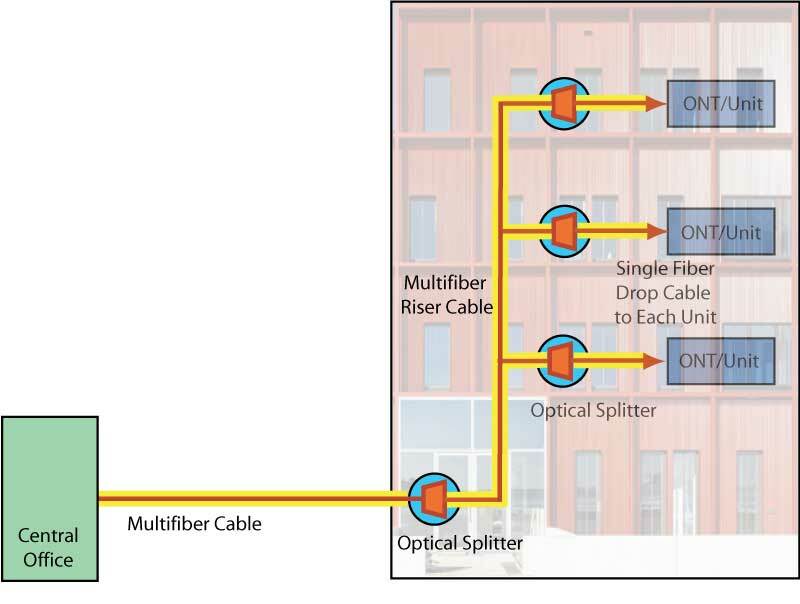 The OLT connects to a splitter with a max of 32 ports over a single fiber that is used bidirectionally. 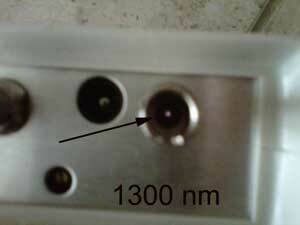 The splitter works like the switch in the telecom closet, connecting the main switches to many users, but is passive, needing no power. Each of the outputs of the splitter connects to a local switch that typically provides 4 Ethernet ports at the work area, along with PoE -power over Ethernet if needed. Thus, one electronic port on the OLT can serve 128 users with 2.4Gb/s down and 1.2Gb/s up. So the splitter can be thought of as a substitute for the switch in the telecom closet, but needs little space and no power or AC -thus no telecom closets. Users place splitters on walls, above ceilings, etc. instead of racks. We will be doing more on this- in the newsletter, on Fiber U, YouTube, etc. in the near future. 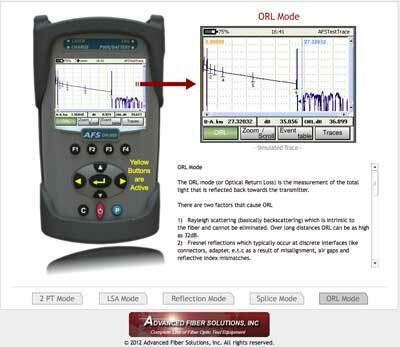 Q: What is recommended for inspection/maintenance for outside plant ADSS fiber optic cable? 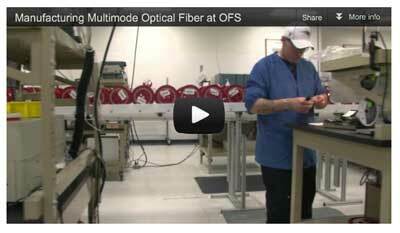 We have a few hundred miles of mostly overhead OFS ADSS Fiber Optic Cable with 48/60/144 count. We have no current outside plant maintenance program for that fiber and I was trying to find out what type of maintenance is recommended, and at what periodicity. 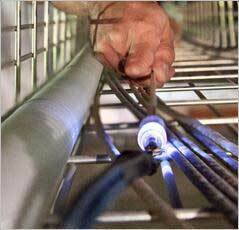 A: Fiber optic cable has no special inspection or maintenance requirements beyond general cable maintenance- e.g. looking for branches falling on it or growing around it or tennis shoes hanging from it.<g> About all anyone should do is periodically visually inspect the route. If you think something may be wrong, test a few spare fibers for loss with a light source and power meter or take traces with an OTDR and compare to earlier results. Perhaps once a year or after natural events that could harm cables. Note: This seems to be a problem that has not been addressed by standards. 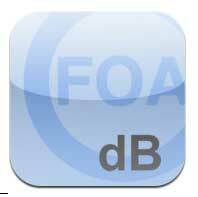 FOA has proposed a "datalink" standard to address the need. The evolution of the connected home continues toward increasing complexity. Devices and services must continually offer more: more functions, more speed, and more consumer benefits. In this new whitepaper, Parks Associates analyzes the factors impacting the connected home, leveraging our industry and consumer expertise to determine the key trends of 2013. Download it here. Countries with a clearly-defined national vision for broadband are significantly out-performing other countries, according to a new joint report released by ITU, the Broadband Commission for Digital Development and funded by network equipment maker Cisco Systems Inc. ITU analysts indicate that countries with a National Broadband Plan have fixed broadband penetration some 8.7% higher on average than countries without plans.Read the report here. American Polywater® PedFloor™ Structural Foam creates a barrier to protect pedestals and cabinets containing standby power supplies, splices, switches and other gear. 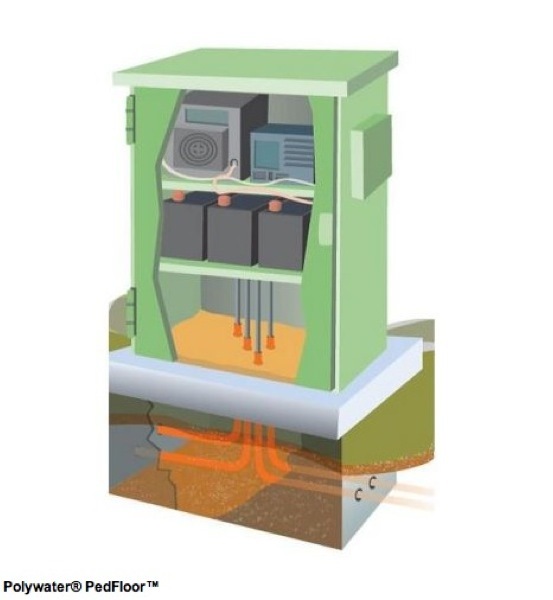 Polywater® PedFloor™ helps prevent outages and service disruptions by creating a resilient and impermeable barrier that keeps out moisture and stops rodents, snakes, and insects from burrowing up through earthen gaps into the enclosure, potentially causing costly outages or safety hazards to crews. The strong, lightweight seal withstands freeze-thaw cycles and environmental extremes. It is compatible with cable jacket materials and will not corrode metal. Read more. 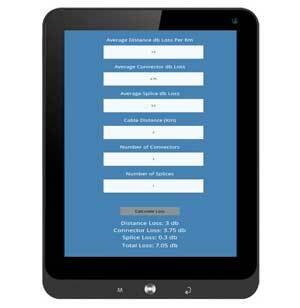 Sebastian Flores has created a loss budget calculator for Android operating systems. Being iOS users we cannot report on its use, but it has some positive feedback from users on the FOA LinkedIn group. You can find it on Google Play along with Data Tech Helper a similar app by Sebastian for copper cabling.